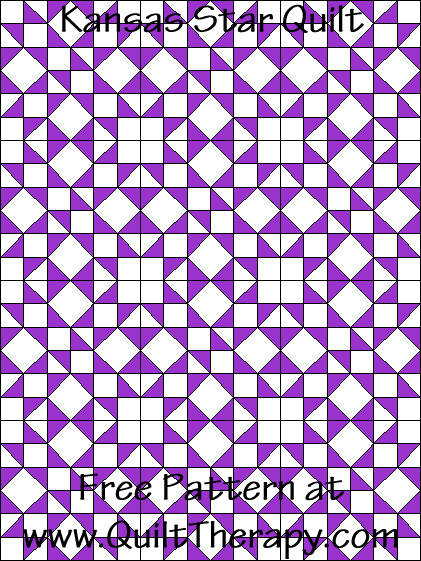 Purple: Cut FIVE (5) 2 3/4″ squares. On the back side of each square draw a diagonal line, corner-to-corner, ONE (1) time. 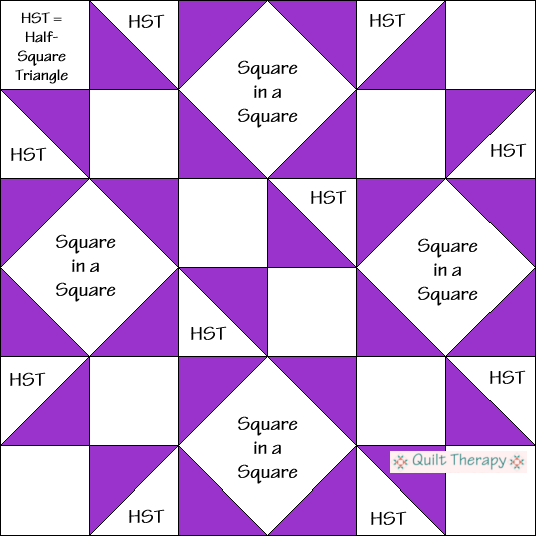 Purple: Cut EIGHT (8) 2 3/4″ squares. Then cut the squares diagonally, corner-to-corner, ONE (1) time. You will end up with TWO (2) triangles per square. White: Cut FOUR (4) 3 1/4″ squares. 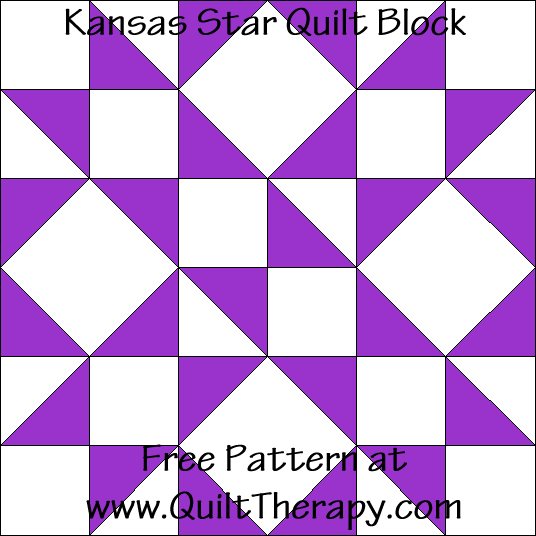 If you make TWELVE (12) “Kansas Star Quilt Blocks”, you will end up with the quilt top pictured above. The size will be 36″ x 48″ finished, 36 1/2″ x 48 1/2″ unfinished. Pink: Cut ONE (1) 3 1/4″ square. 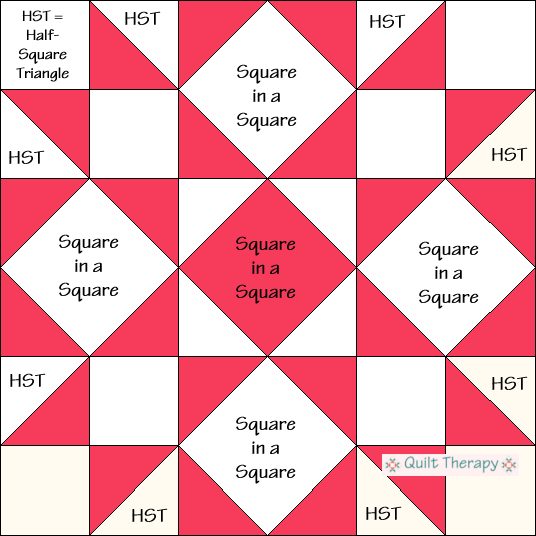 Pink: Cut FOUR (4) 2 3/4″ squares. On the back side of each square draw a diagonal line, corner-to-corner, ONE (1) time. 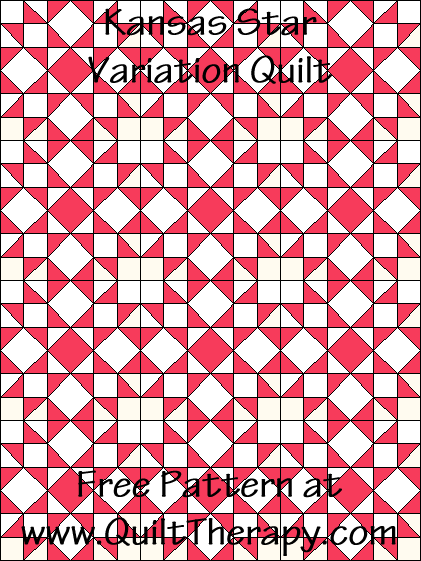 Pink: Cut SIX (6) 2 3/4″ squares. Then cut the squares diagonally, corner-to-corner, ONE (1) time. You will end up with TWO (2) triangles per square. 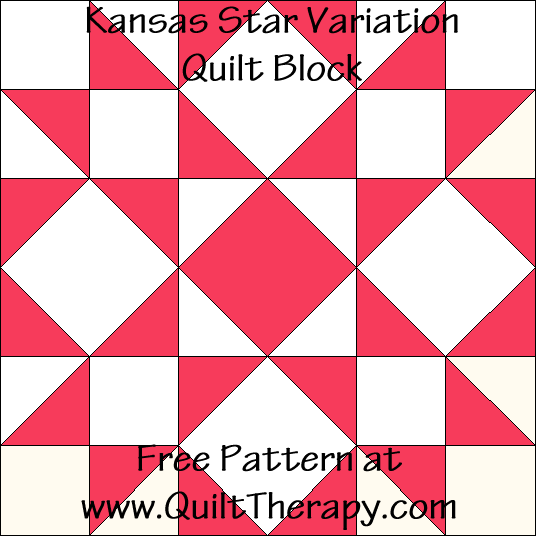 If you make TWELVE (12) “Kansas Star Variation Quilt Blocks”, you will end up with the quilt top pictured above. The size will be 36″ x 48″ finished, 36 1/2″ x 48 1/2″ unfinished.